Culture, Art and Technology: Museums make for Fantastic Hackathons! On November 26th and 27th, the Canadian Museum of History and Canadian War Museum teamed up with Hackworks to host the Museum VX Hackathon, their first event of this kind. Working with Carleton University and Algonquin College, Marquis Côté, Head of Digital Interactives and A/V, wanted to foster creativity by inviting post-secondary students to craft new and innovative digital experiences for museum visitors. Together, the two museums own all kinds of interesting hardware technologies and their exhibits are the perfect stage for resourceful problem-solvers to explore the use of new tech tools. Marquis thought a hackathon would provide a unique opportunity for students to use their imaginations and engage with the museums. And how right he was! At kick-off, the students were provided with a variety of problem statements they were encouraged to tackle that varied from gamifying the museum-going experience, creating personalized curated visits and developing new immersive software solutions that would make exhibits more interactive. Students were confronted with a wealth of creative possibilities; the only directive was they choose from the themes of hockey, the battle of Vimy Ridge or the Franklin Expedition (based on three upcoming exhibits that will be shown at the museums) to craft their solutions. In order to inspire them further, the museums provided touchscreens, beacons, Arduinos, Raspberry Pis, motion sensors, NFC readers and writers and an HTC Vive VR headset for participants to play around with. Moreover, mentors from Carleton University and Algonquin College as well as local tech professionals joined over the weekend to share their expertise and help teams with the ideating and development process. With all this stimulating material at their disposition, it was clear for participants that museums are fantastic hackathon hosts. Beyond the technology, there’s also the abundance of artifacts, stories, data and general information that creates numerous interactive possibilities. With the right tools and knowledge, participants can let their imaginations roam wild to come up with cool submissions. Museums today increasingly demonstrate a sophisticated convergence of culture, art and technology. Ultimately, the teams who received the best scores during the judging innovated without losing sight of the museum visitor. Their ideas were designed to satisfy today’s visitor’s interests, natural predispositions and access to smart mobile technologies. They crafted solutions that were financially feasible, realistically implementable and user-friendly – the keys to successful design and development. At the end of the hackathon, the inspiration between museum and participant was mutual: Marquis and the rest of the museum team were able to engage and learn from a group of participants who belong to a demographic that doesn’t frequently visit museums; and the participants were able to find a new appreciation for the how museums use technology and the creativity that's required to design attractive and educative exhibitions. This, in itself, is a success story. There are many factors that go into developing and sustaining a successful company. Arguably, the most important is making the most of your employees’ skills and abilities. Some believe that employees who are driven, focused, and creative are hard to come by. What’s missing from this perspective is that employees who feel inspired and empowered to excel at work might be rare because their work doesn’t provide them the environment to live up to, and exceed, expectations. Now you may scoff at that, opine that great employees shouldn’t need any babysitting or specific environments in order to thrive, but the more we learn from science about human behaviour, the way our brains are wired and what promotes motivation, the clearer it’s demonstrated that an employee’s work circumstances plays a large role in dictating their likelihood of success. At Hackworks, during our events, we see examples of employees outperforming expectations all the time. In June, we organized an internal Tech Jam for one of Canada’s big banking institutions. Leading up to the event, there was some concern among the bank’s organizers about the ability of participants to come up with ideas and deliver interesting mobile applications for the challenge. Unfamiliar with hackathons, they could not anticipate the promising output of a group of engaged employees with a tight deadline and nothing to lose. After 40 hours of ideating, discussion, inspiration, compromise and development, fifteen teams of employees from different departments, who didn’t know each other, with diverging interests and expertise, presented their solutions in an expo style format. We watched the bank’s organizers and judges go from team to team, listen to their presentations, and saw the smiles on their faces - grins of delighted surprise. The employees hadn’t spent their time on mediocre, run-of-the-mill mobile applications, instead, these were elaborate, well-thought-out, implementable solutions to challenges the bank had presented them. Suffice to say, the organizers left impressed; emboldened at how talented and innovative their employees proved to be. So what took place during the hackathon for that successful outcome to take place? The bank decided to take the risk of trying something new. They had never organized a hackathon before; in fact, they weren’t quite sure what a hackathon was, and yet, they invested a great deal of resources and time to make it a success. The bank put their faith in the power of crowdsourcing, bottom-up innovation. Your staff may consist of 5 or 5,000 employees; either way, the cumulative brain power of a group is greater. The bank provided a challenge to their employees - to create and prototype digital mobile applications that would improve employee productivity, connectivity and mobility - that was neither too narrow nor too broad. They had already identified specific problems they wanted to work on, but chose to leave their employees to problem-solve on their own terms. The bank invited employees from different departments, with different skillsets, perspectives and knowledge, who didn’t know each other, to come together and pool their collective knowledge and abilities and learn from each other. Everyone came in on equal terms, with no hierarchy, free to express their opinion and add their two-cents. The bank organized the event in a location that was unique and different from their usual offices. They chose a physical environment that was modern, unique, and fun. It provided a different space for participants; a clean slate that would promote creative thinking. The bank made sure to send important executives as mentors and judges in order to demonstrate their commitment to the initiative and inspire participants to give it their all. The employees volunteered their time to try something new. A survey after the hackathon revealed that the leading causes for participating were learning new things, being curious about trying something new, and the opportunity to network with other employees. The employees were still 'working', but they were unshackled from “the burden of day to day processes.”* As a result, they benefited from “seeing and experiencing how effective they could be”* when provided with the opportunity. For many, the hackathon improved their sense of self-esteem and confidence, which is absolutely key to self-motivation at work. The employees took ownership of their solutions, and proved committed to developing useful and valuable products. After the hackathon, they had something to show and share with colleagues, an experience and story to tell, and a sense of personal and professional accomplishment they could be proud of. The employees, by engaging with employees from different departments, got a better sense of the functioning of the institution as a whole. Too often, employees develop tunnel vision regarding the organization they work for, forgetting the various complex pieces needed for it to be effective. The hackathon provided a space where failure and the process of improvement through iteration are celebrated. Without the pressure to create something that is perfect, with great UI/UX and fully functional, the employees were empowered to use their intuition, brainstorm and bounce ideas off each other. Under normal circumstances, especially in large organizations, this kind of opportunity is non-existent. 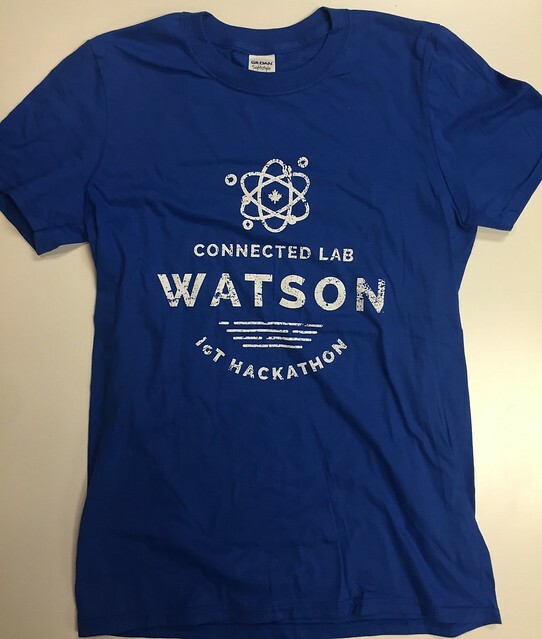 The hackathon provided employees face-time with executives and, as a result, a more tangible sense of belonging to a larger family. The hackathon provided employees explicit time for reflection about work, about the processes they use everyday, about what works and what doesn’t. They were freed to use their innate analytical skills and by doing so, better understand their position within the organization, the building blocks that make it work, and the opportunities available if they act proactively. The hackathon provided the bank with 15 unique, employee-driven mobile applications over the course of a 40 hour event. A single person, let alone a team, dedicated to innovating can’t deliver those kinds of results. And the costs of organizing the hackathon in comparison with having a large team dedicated to innovate is cheaper. One advantage of this approach is your innovation team can focus on modernizing the work culture and implementation of innovative ideas instead of coming up with them as well. The hackathon was also an opportunity for the bank to do a bit of recruiting. They were able to gain insights about the different strengths and weaknesses of the participants. In other hackathons we’ve organized, whether internal or external, many of our clients use the hackathons as a talent identification and recruiting tool. I could go on. Ultimately, your employees are almost always your most valuable resource. Immersing them in different activities; empowering them to prove themselves; having them establish contact with others in the organization and learning from each other are but the tip of the iceberg of what a good employee management strategy can offer. Have you put thought in the stories your employees are telling themselves about them-selves? Do your employees have access to action and practices related to their employment that is helping them develop pro-active, motivated and dedicated identities? If your answer to the above questions are no, we should talk. *Quotes from participant survey following the hackathon. The launch is about to begin; the hackathon challenge is right up your alley; the lights drop and your favourite song is pumping up the crowd... chills run from your toes to your finger tips and your team looks at each other with excited anticipation. 3... 2... 1... GO! Join the Team! Hackworks is Hiring! Do you believe in the power of hackathons to drive innovation? Do you think they're a good tool for community engagement? Do you agree they are a fun and dynamic way for companies to problem-solve and remain competitive? You might be the right candidate. We are looking for a Full Stack Developer to maintain and expand the Hackworks.com website, as well as the platform that we use to run our hackathons. Are you the one!? 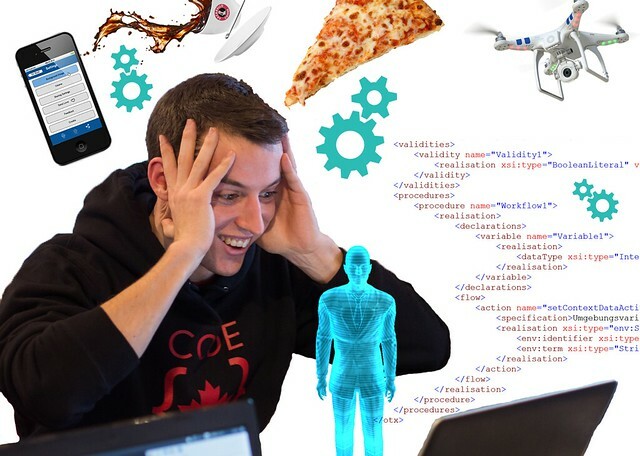 This summer, use your brain for what's important in life; participate in the Ridi6ulous Summer Hackathon (http://ridi6ulo.us/hackathon.html) and pollinate Toronto with buzz-worthy hacks and contraptions! 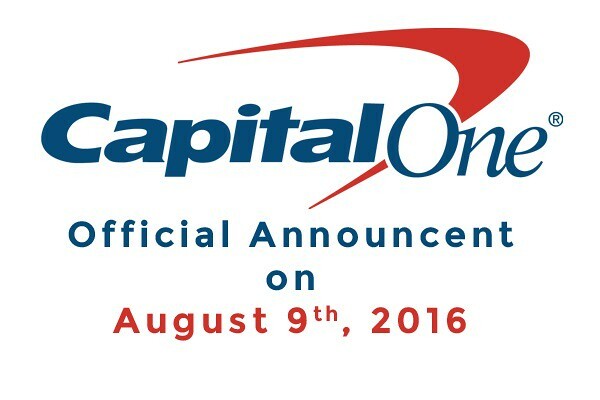 Capital One is organizing an exciting community hackathon taking place October 21st to 23rd! The theme, website and ability to register are going to be officially announced on August 9th. "The Internet of things is going to change everything." Are you looking for hackathons to participate in? Do you have a hackathon you want to promote? Visit Hackathonsnear.me for a list of hackathons taking place around the world and the ability to promote your own. Shape the future instead of reacting to it. In our previous blog post, Innovation is not a Buzzword, we made the argument that Innovation is a necessary endeavour for an organization or company's continued relevance and success. Over the coming weeks, we have 5 planned posts that will delve deeper into why you should be innovating. This post makes the argument that if you can frame the conversation around tech and service innovation in your favour, you will be have an advantage in the market place. To a great extent, Innovation is a important communications and branding asset. Innovation is what differentiates an active company from a passive one. Organizations with a strategic approach to innovation increase their likelihood of shaping the market in ways that fit their needs. Over a little more than two decades, Amazon has run roughshod over numerous competitors by out-investing them in developing the future of commerce and retail. They started off as a simple online bookseller after all, and over time began selling other products, producing consumer electronics (The Kindle, Fire TV), and becoming the biggest supplier of cloud infrastructure services in the world. Jeff Bezos then bought The Washington Post in 2013, which provides him the ability to better understand a struggling industry while using it as a laboratory to explore the intersection of integrated content and commerce. Now that Amazon has surpassed Walmart as the world’s most valuable retailer in the United States by market capitalization, it is clear that Jeff Bezos was right to invest heavily in changing the market in his favour. Apple’s current competitive advantage over Microsoft is based on the same visionary principles. Steve Jobs’ user-centric focus revolutionized the way personal computers were marketed and sold to consumers. Central to that experience was his focus on design, usability, and intuitive products and interfaces. This approach helped Steve Jobs and Apple develop whole new industries and impose their vision of the future on the rest of the world. At their respective peaks, Amazon and Apple controlled the market, forced competitors to adapt to their technological innovations, processes and products, and permanently altered their respective industries. Knowing this, how can a hackathon help you best predict where the puck is going to be? Every type of hackathon allows you to crowdsource insights and solutions from a community of your choosing. By mingling software developers, product managers, designers, curious citizens and professionals with diverse backgrounds, you ensure the ideas that result from the hackathon are dreamed up by a wide array of makers, users and customers with different perspectives. Hackathons are an opportunity for “talent engagement;” a means of entering a conversation with idea generators that could help open new growth possibilities. Hackathons are a great way of keep your finger on the pulse of what is happening culturally, technologically and even politically. Predicting and understanding the future is best accomplished by understanding people, their concerns, anxieties, ambitions and dreams. In order to frame and manipulate a market or industry in your favour, you need to understand your consumers. Hackathons provide crowdsourced answers that help you accomplish that while engaging with people at the same time. IP is a tricky subject to manage when it comes to hackathons. The volunteer-driven and collaborative nature of hackathons generally means you need to be sensitive about not giving the impression you are using crowdsourcing as free labour. Therefore, when it comes to determining who owns the IP that is developed during a hackathon, it is important you consider the repercussions of your choice on the matter. Make sure that the rules regarding IP are clearly articulated. That being said, it is remarkable how successful well-organized hackathons are at delivering creative solutions and insights. In the right context, participant submissions may open up additional markets, customer bases, and spawn new product lines or entire companies. One of our clients (who prefers to remain anonymous) was proactive in responding to the changes in the financial industry. Part of their strategic blueprint was an internal hackathon with the objective of re-imagining the way their customers experienced their services using new emerging technologies. They were concerned about the threat of disruptive technologies in their industry and wanted to prepare for the changes. 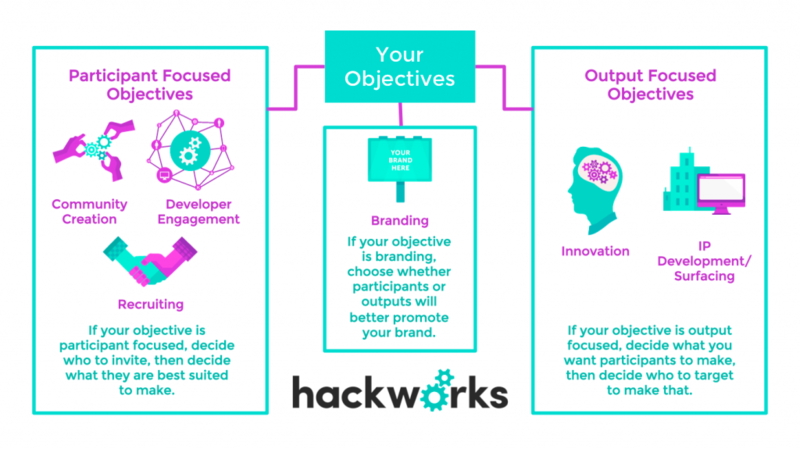 Beyond organizing the actual hackathon, Hackworks helped them coordinate pre-hackathon workshops in order to brief the participants on the challenges affecting the financial industry and introduce them to new technologies. The workshops provided the participants with ample time to become acquainted with the technologies and brainstorm on the potential impacts they may have on their own lives, that of their customers, and their industry as a whole. Participants were also encouraged to play and experiment with other tools and technologies that might be disruptive. From a pool of over 4000 employees, a group of 150 were selected as participants and provided new tools, an opportunity to work with colleagues from other departments and a unique learning experience. Even with less than 5% of its workforce participating, the benefits of such an activity for the company are enormous. Each of those participants returned to their teams with ideas and knowledge to share. The ultimate focus of the hackathon was on finding solutions that would enhance digital customer experiences. By doing so, the company created an engaging platform for their employees to do something unique and share their own ideas with company leaders and executives. The participants felt empowered and included in decision-making they don't normally get involved in. The company was able to crowdsource ideas from employees working in a variety of different departments and mine the expertise of employees that connect with customers on a daily basis. Processes were put in place in order for the ideas generated during the hackathon to be immediately evaluated. Work began right away on weaving together the ideas, insights and technologies that surfaced into the company’s innovation roadmap. With the solutions and insights developed during the event, the client was able to better prepare for future and avoid reactionary innovation. It is not always the best innovation that succeeds, it is the one that manages to achieve a successful market-fit, because ultimately, an innovation is more than an invention or discovery, which increases knowledge but doesn’t necessarily impact the market. By continuously exploring possible product and process innovations, you increase the likelihood your solutions gain traction, answer market needs and create new revenue streams. Involving employees and outsiders from different backgrounds when assessing future developments is a simple but effective way of covering your bases. I recently joined Hackworks as a Hackathon Manager, and moved from Montreal to Toronto. In order to familiarize myself with the Toronto hackathon community, I decided to participate in as many local hackathons as I could attend. Civic Tech Toronto is “a community of Torontonians interested in better understanding and finding solutions to civic challenges through technology, design or other means.” Participating in Code Across was a great way for me to engage with the local tech and civic-conscious community. The hackathon consisted of 9 challenges that were presented by different individuals and/or organizations in the city (“Challenge owners”). Shamefully, I must admit to barely following municipal politics. This seemed like a way for me to join in creating something that would help me address this situation. The “Challenge Owners,” David J Hains, editor at Torontoist, and Patrick Connoly, introduced two platforms that are currently serving the needs of citizens who want to stay informed about municipal politics: TMMIS for Toronto, and Councilmatic, which services New York, Chicago and Philadelphia. I was unaware such services existed. It turns out there are tons of available openly accessible public data on what is taking place in our governments, and citizens are free to mine it, track it and organize it. Currently, according to David and Patrick, Chicago is the best example of what the Councilmatic platform offers: a clean and relatively intuitive tool that grants access to diverse public datasets. The Toronto platform, TMMIS, is older and, despite still providing important information, somewhat more convoluted. As I researched the Chicago site, I became excited about creating something new for Toronto that would increase my appetite for municipal politics. Our challenge was clear: how do you organize city data in such a way that it is efficiently organized and fun to browse through; that you can navigate easily even if you’re a political layperson; and perhaps most importantly, that encourages you to get involved in municipal matters? Admittedly, this is not an easy task. I am not a developer, designer or a tech wiz. Neither am I particularly politically engaged. What surprised me most about my experience at Code Across Toronto 2016 was that neither were most of the other participants. It was a diverse group of curious Torontonians willing to try new things, meet and learn from others, and looking for opportunities to innovate. The positive outcome from participating was more than I anticipated. From a professional perspective, identifying what I liked and disliked about the event and building my network of contacts was clearly beneficial. What’s most surprising to me is that I am now hooked. I am eagerly awaiting my next hackathon. I did not expect it. I was surprised by how diverse, sociable and fun the participants were. Most importantly, during the hacking, I felt good about how I participated and that increased confidence is directly translatable to my personal and professional life. 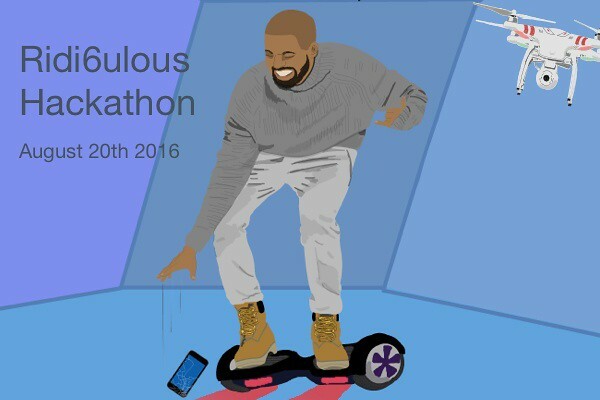 Hackathons might be the perfect way to accustom yourself with facing small problems!